The incident that recently took place in Las Vegas which took over 55 lives still hurts the families of the victims, the city, and the nation. A mass shooting such as this one must warn us that preventions are needed, but what we do, must start in our communities, to keep tragedies like this one from happening again. Since January, roughly 12,000 people have been killed by guns across the U.S. In Massachusetts alone, where I live, roughly 135 were shot and killed in 2016. Since the Las Vegas shooting, those fighting to remove regulations, and those who have in the past resisted regulations, seem more amenable to create more. A poll by Politico/Morning Consult showed that 49% of Republicans are supporting stronger gun laws. Those in support of gun control are attempting to get laws passed that restrict the use of firearms, calling for gun safety measures, and engaging in protests in cities. Democrats are also urging for tighter laws in order to prevent similar massacres. Common sense gun laws on the national level will take time. In the meantime, we can still take action at the local level. Every community can decide what actions to take, depending on what makes most sense for them. In particular, communities should tackle suicides, children killed, and domestic violence cases. The number of children killed or injured is by far over 500 this year. Each year, more than 40 thousand Americans commit suicide, one of the leading causes of death in the country. A death at a home is 12 times more likely to happen when a gun is involved. 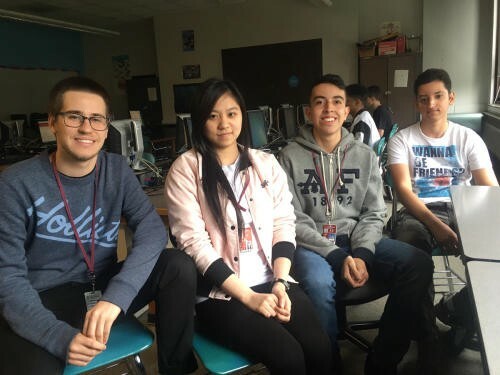 Last spring, we, a class of Lowell High School students, working with Generation Citizen, partnered with the Sheriff of Middlesex County and the Lowell Police Department to create a city-wide gun buyback in the city of Lowell, MA. With the help of more than 30 houses of faith, and more than 10 nonprofits and businesses, we organized this event in one of the churches of the city. We wrote an op-ed and published it in the local newspaper, we gave interviews to local TV, radio and news teams, and we created posters in five different languages. One spring Saturday, during our city-wide Gun Buy Back, the police collected 39 guns. We took action at the local level to address gun violence. Local Gun Buybacks like ours might not prevent mass shootings like the one in Las Vegas or Orlando, but it does have an impact on the number of deaths of kids, suicides, and domestic violence. It can also begin to change the culture around guns. It is because of our Action Civics education class that my classmates and I were able to acquire knowledge about guns, the effects they have in our community, and how to address them. If everyone had an effective Action Civics education, like my classmates and I had, and that many others are beginning to learn about around the country, we all would have the skills to take local action on key issues such as the one that I worked on. Many issues can be targeted and solved, but often nobody pays attention to them because they simply don’t know how to fix them.